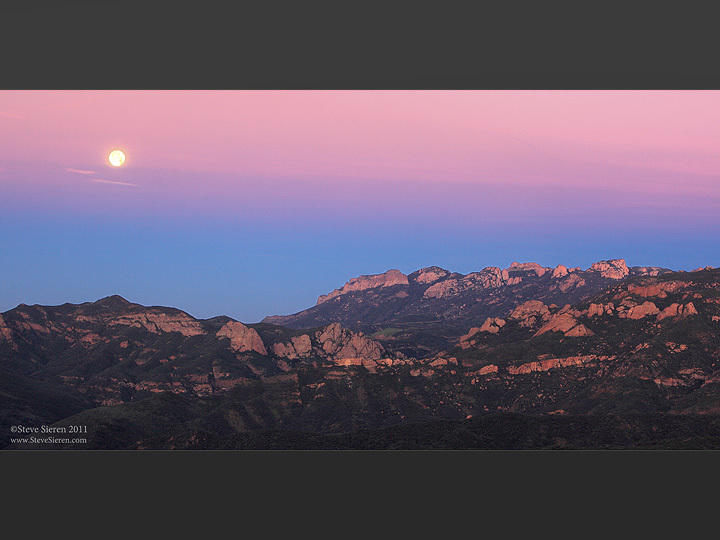 Alpen glow on the Santa Monica Mountains coastal range. 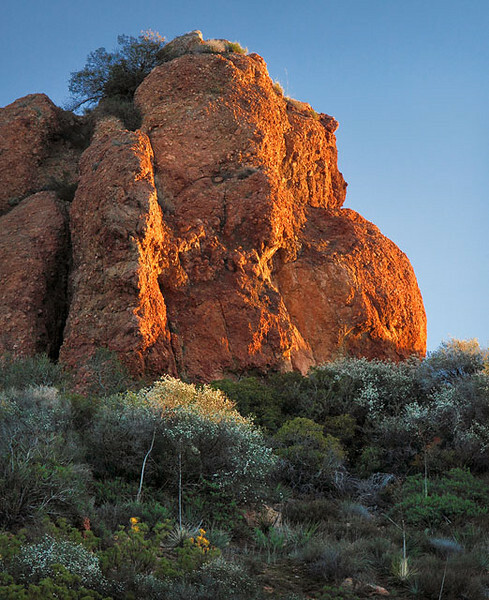 The Santa Monica Mountains are one of Los Angeles’ backyard photo locations. The coastal range spans from the Hollywood Hills in the east and ends in the west past Malibu at Pt. Mugu. What makes this different from the rest of North America is you can photograph fall color and spring flowers all in the same day. It sounds impossible but the mild winters of the mediteranean climate makes this possible. What’s Blooming right now in January? The lilacs and a few other early bloomers, I’m not crazy just in a mediteranean climate so spring starts early here! 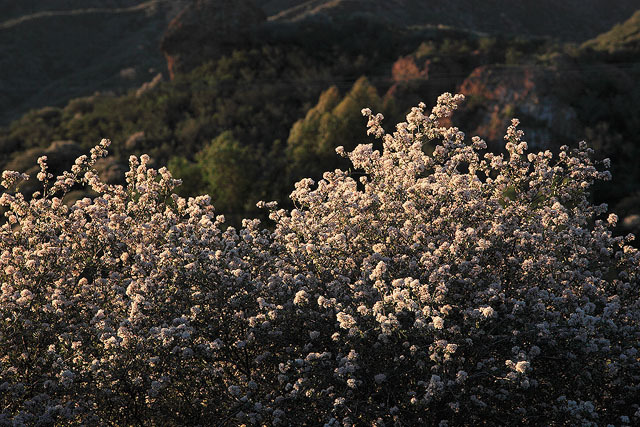 Early bloomers under sandstone in the highest part of the mountain range. The moon setting into the Earth’s Shadow. 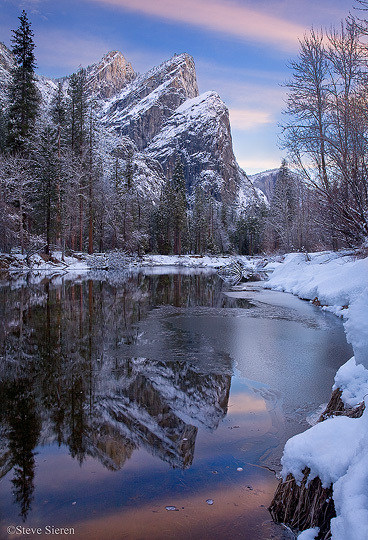 Some of the best landscape photographs are not created from the luck of being in the right place at the right the time. 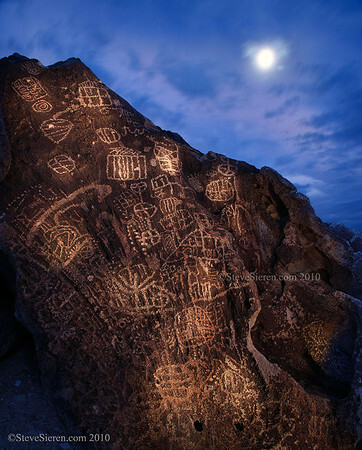 They are sculpted from the raw landscapes that we see time and time again. 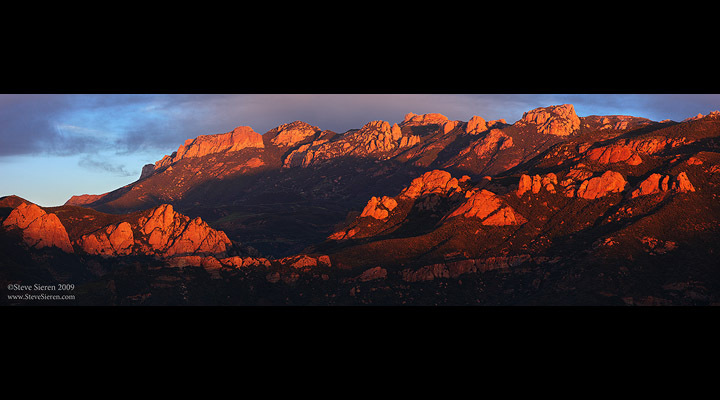 Our experienced eye helps us compose the scenes we stand in front of right before the light begins to get at it’s best. Our photographic vision is developed each and everytime we are out. 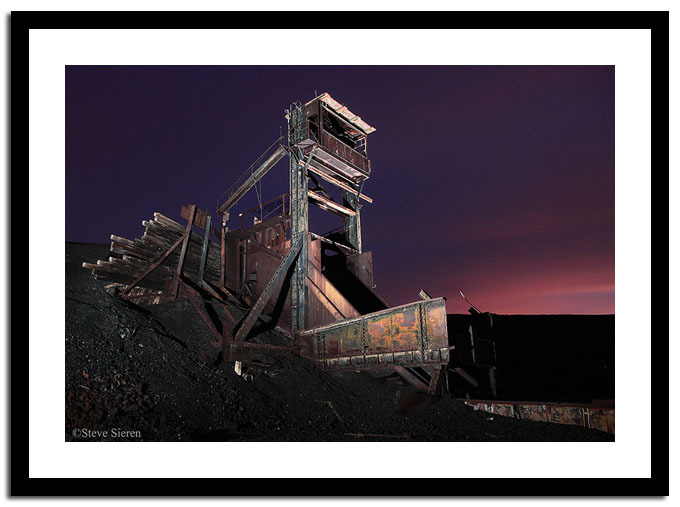 Have you ever not just settled on any composition? Struggling with composition is completely normal. Everytime we head out and the light is mediocre, we have the opportunity to exercise our composition skills and get more closely in tune with the ecosystem we are visiting. In light that isn’t so luring we can practice refining our technical skills so when the light is great we can photograph subconsciously and not think so much about the technical aspects of how to work the camera in the field. Our imagination generates beautiful well composed scenes worthy of any landscape photography prize but it’s how we connect our imagination and composing skills in the moment of being there. We need to check to see if we have the light we need for our subjects in mind or do we need to make adjustments, maybe change our subjects completely and adjust to the quickly changing light. Other questions that may arrise could be, does our specific land forms follow a cadence from front to back or how will exposure affect the balance of light in the histogram? Are blocked up shadows more powerful to the scene? 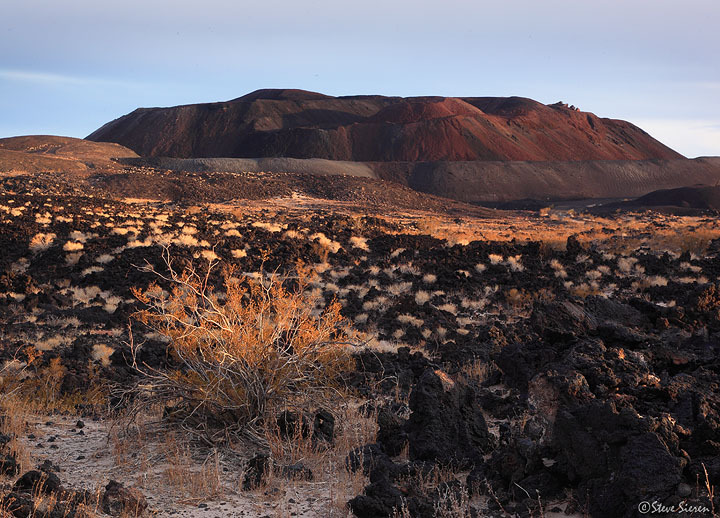 Developing a clear mental picture in your mind and precisely connecting with it through the lens is only part of interpreting the landscape. The scene above was taken years ago after I had recently upgraded cameras, wanting to have the same scene as I had previously photographed with one of the first very popular digital SLR cameras, the scene I had come home with was completely different due to nothing more then varied clouds. 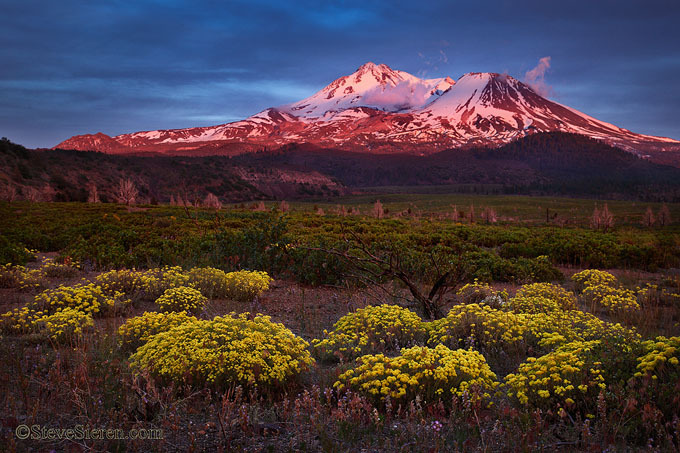 2010 was a great year for landscape photography, we experienced a fantastic wildflower bloom in California. Here are a few of my best from the year, I wish I could pull a few more off the hard drive! Have a great year everyone!! 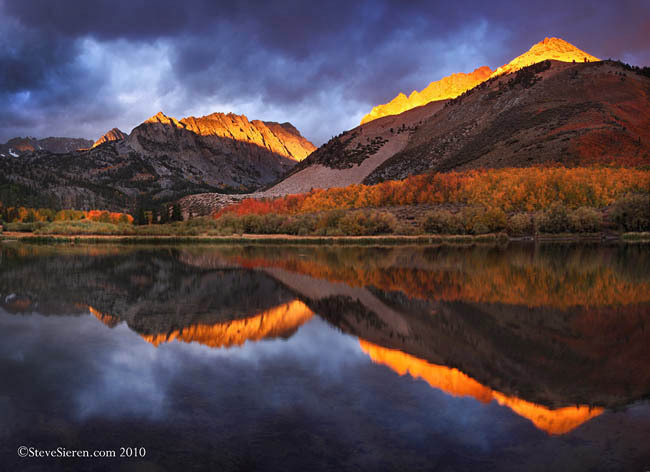 Alpen glow breaks through the clouds in the Eastern Sierra’s North Lake on a cold autumn morning. 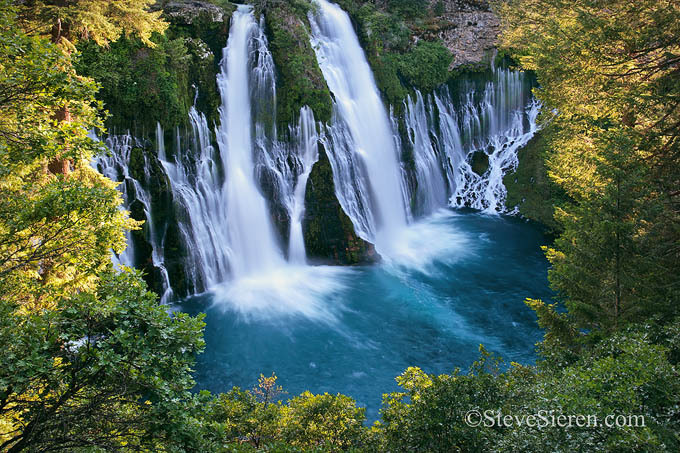 Burney Falls in Northern California is constantly fed by a natural spring. 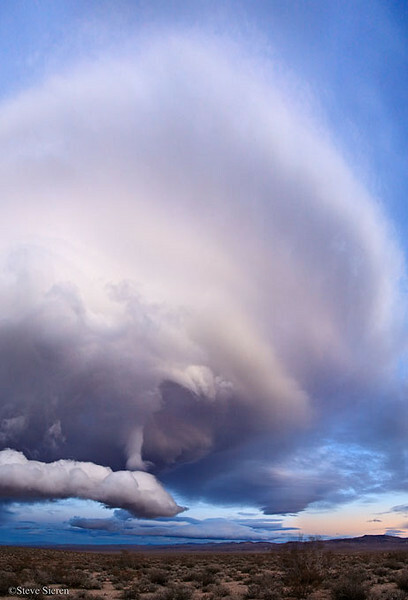 A wild lenticular cloud formation slowly grows and moves across the Northern Mojave Desert. 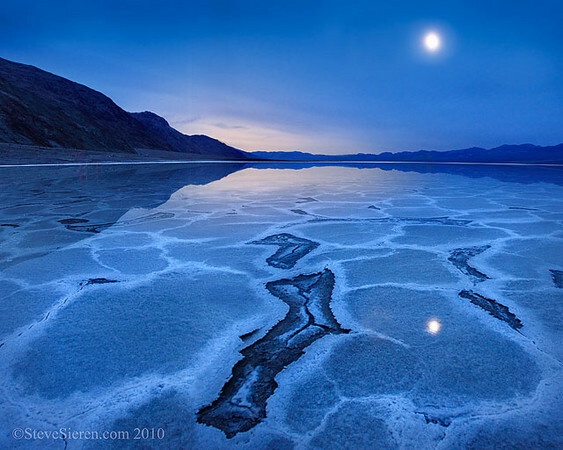 Early dawn light creeps across the flooded salt flats of Death Valley. 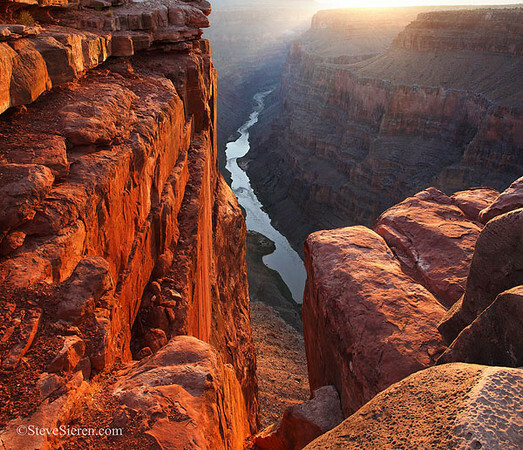 Dangle your toes off of Toroweap’s 3,000 foot cliff overlooking the Colorado River in Grand Canyon National Park. 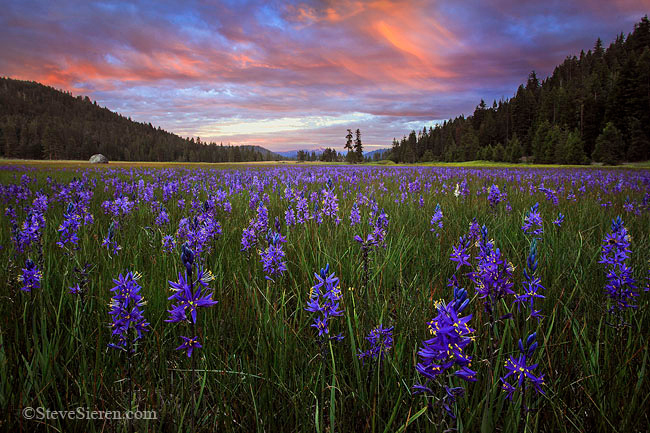 Wild mountain lillies bloom in an open meadow in Northern California’s Cascade Range. 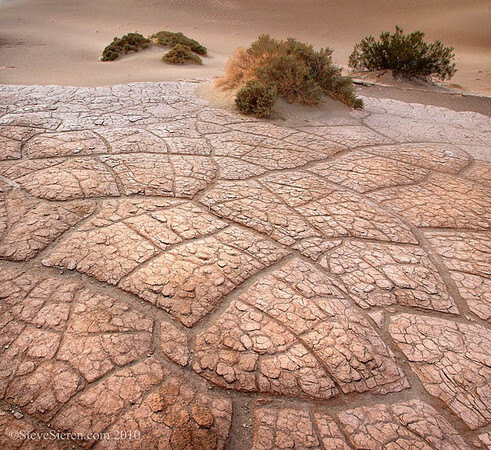 Tiles of Earth sculpted by wind, water and sand in one of Death Valley’s dune fields. 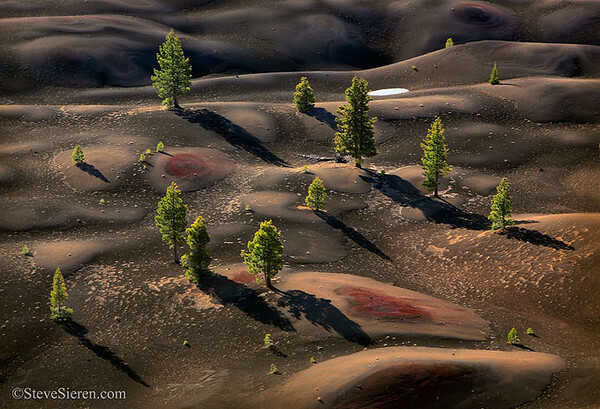 Pines catching thier first light on old rolling dunes in Lassen Volcanic National Park. 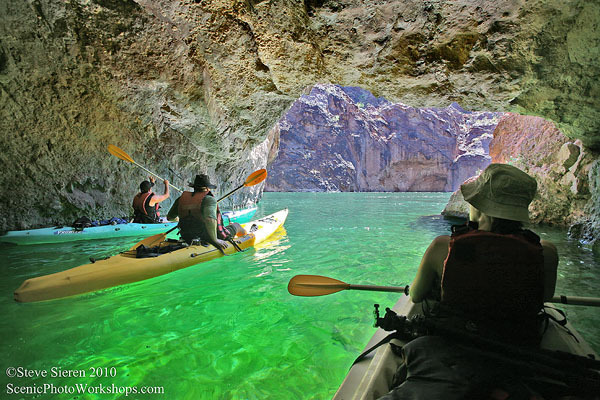 Friends paddle through a Colorado River cave in the Mojave Desert. I really miss this moment. Wildflowers bloom under Mt Shasta in a wild fire recovery area. 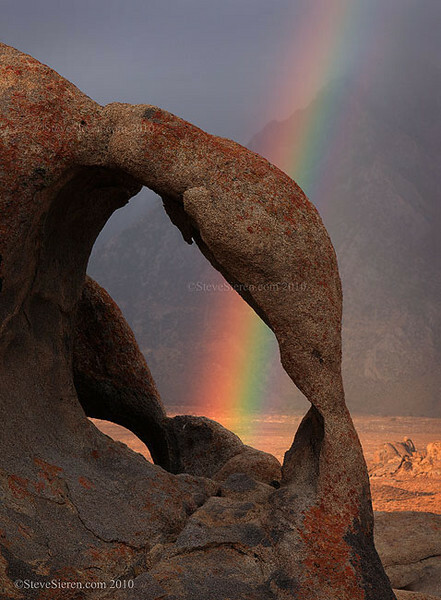 A view through an arch in the Alabama HIlls displays a rainbow against rainy skies. 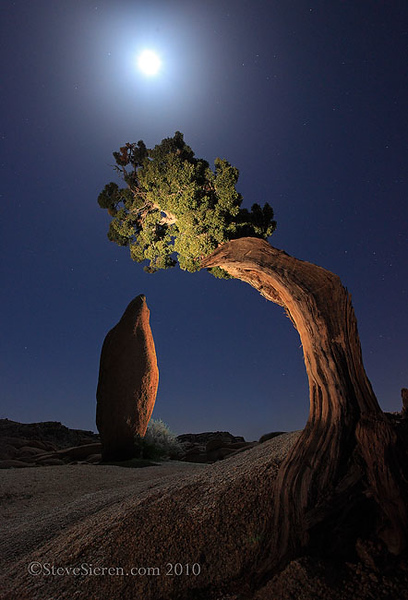 A nocturnal alignment of earth and space in Joshua Tree National Park. 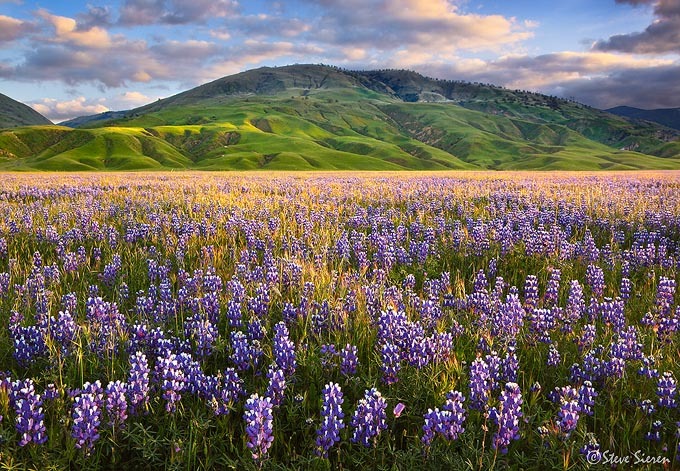 One of the largest wildflower blooms I have ever seen occured in California’s Central Valley. Only 80 miles from Los Angeles. 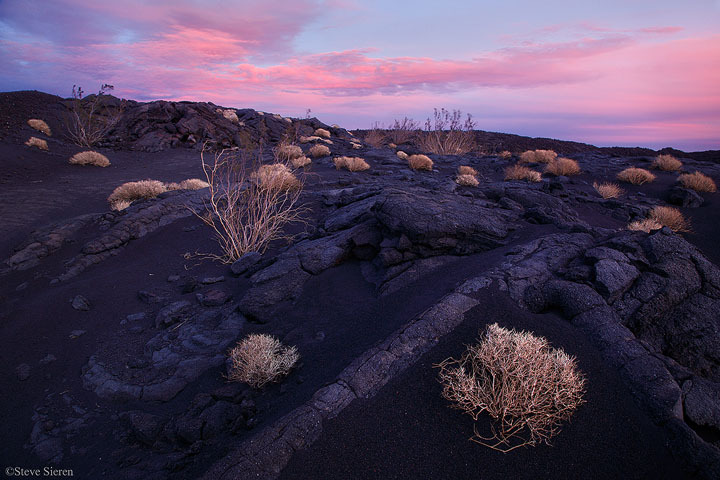 The Mojave Desert Tortoise is the largest reptile of the Mojave Desert. They walk on ground that can get over a 130 degrees. They avoid the heat in their giant burroughs where it is about 40 degrees cooler and hibernate there durning the winter. They can live for a year without water or maybe even 2 years without water. In certain areas of the Mojave the average number of tortoises per square mile in the 1920’s was 100, now in the same areas there are less then a dozen per square mile. A host of animals depend on their large burroughs for homes. 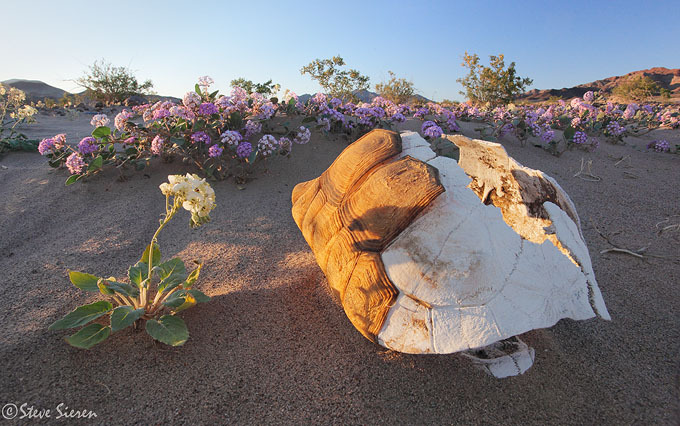 The Mojave Desert Tortoise is an endangered species because it’s population has dwindled in recent years. In order for it to be removed from the endangered species list it’s population must grow and be sustained for 25 years. It’s a new year, I got together with some close friends last night and didn’t get to sleep until 5am this morning. It’s now 9:30 am and my heart is blasting my blood through my body, there is so much adrenaline to attack this new day. My head wants to sleep but my raging heart won’t let it. Will every new day this year be like this? I want to transfer this positive energy to someone somehow! There is always a photograph in this blog but not today, let your passion and desires connect with imagination to create something new this year. Don’t let anything stop you from suprising us all!